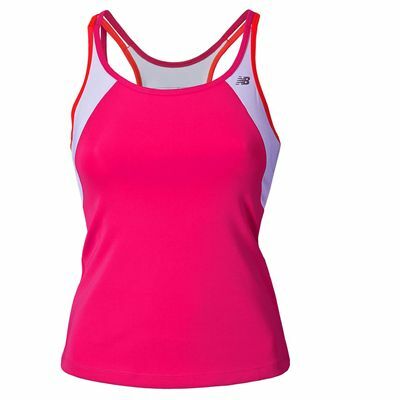 The New Balance women’s Tonic top is a low-impact sports bra made especially for running. It features a moisture-wicking bottom band and Lightning Dry fabric to keep the body cool and comfortable during high-intensity activities. The women’s tonic top conforms to the shape of the body without restricting movements and utilises a racer back design for full range of motion. It can be worn either as the only layer or as a first layer providing insulation in cooler weather. Additionally, its inner shelf bra is constructed in easy-breathe mesh for maximum comfort. for submitting product review about New Balance Womens Tonic Top.